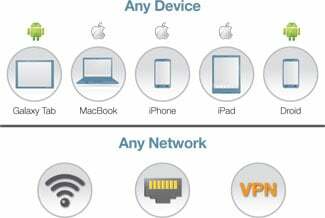 Delivers unparalleled simplicity when managing and securing network access across wireless, wired and VPNs. By centralizing access policies across the entire network, ClearPass automates differentiated user and device access, policy management and the provisioning of devices for secure network access and posture assessment. This ensures that each user has the right access privileges based on who they are and what device they're using. The Aruba LIC-CP-PF-1K is also known as ARU-LIC-CP-PF-1K	or LICCPPF1K	.